Little Tangles Challenge #42 - Happy Birthday! I have just gotten back from a lovely cruise with family, we had a great time but poor hubby got struck down with a bad flu and spent the last four days in bed, so that part wasn't good. We will just have to go on another one now to make up for it! I'm always needing birthday cards so I was very pleased to see that the latest challenge for Little Tangles was 'happy birthday'. 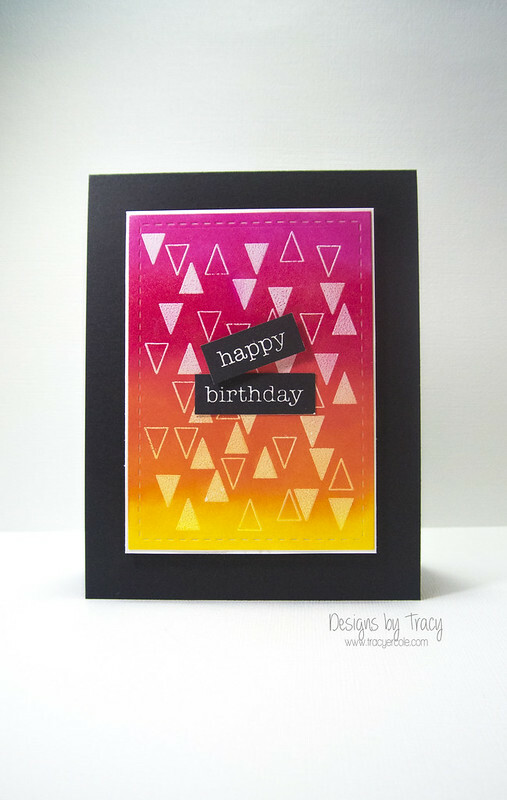 I white heat embossed the Tiny Triangles stamp and inked over the top using some Memento Luxe inks. I love these inks, so vibrant. As the background was so bright I didn't think it needed must else so I mounted it onto a black card base and added a sentiment I had stamped and cut out from the Everyday Labels set. I hope you play along with us, link up your projects HERE. 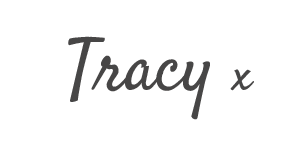 Awww so sorry for your hubby Tracy. Love the way the colors POP on the black card base, pretty!